In this tutorial, we are going to take two Pycom LoPy's, set the first one as a LoRaWAN Gateway and register it as a Gateway with The Things Network. Then with the second LoPy, we set it up to talk to our LoRaWAN gateway and have the The Things Network push Events to Wia. 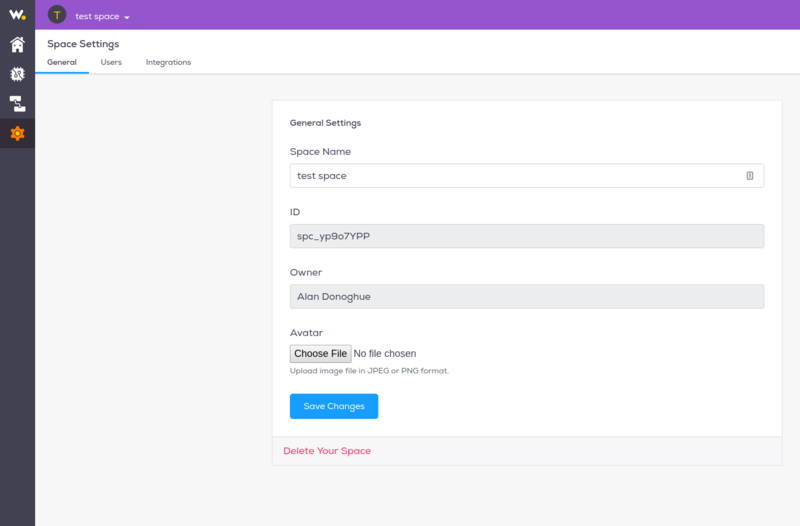 If you are completely unfamiliar with the Pycom LoPy and Wia, you should try our getting started tutorial on how to connect the LoPy over WiFi and publish an Event to Wia here. We are going to use Pycom's LoRaWAN Nano Gateway example for our basic LoRa Gateway. The code is run on boot up of the Pycom board and starts the Nano Gateway automatically when the board is connected to the power. 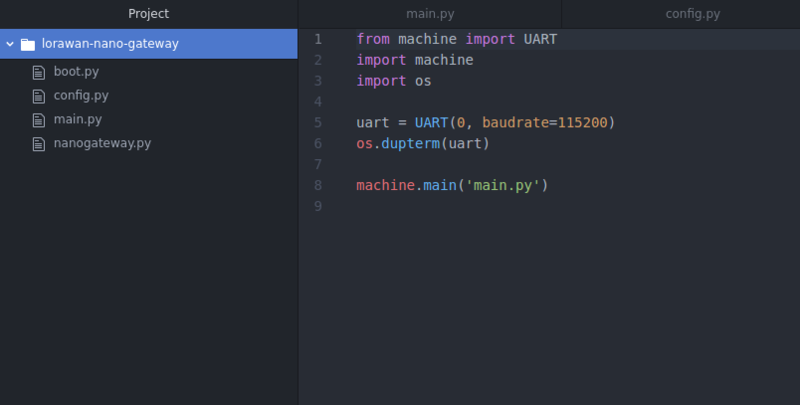 Click Upload in the Pymakr plugin at the bottom of your window in Atom and send the code to your Pycom board. 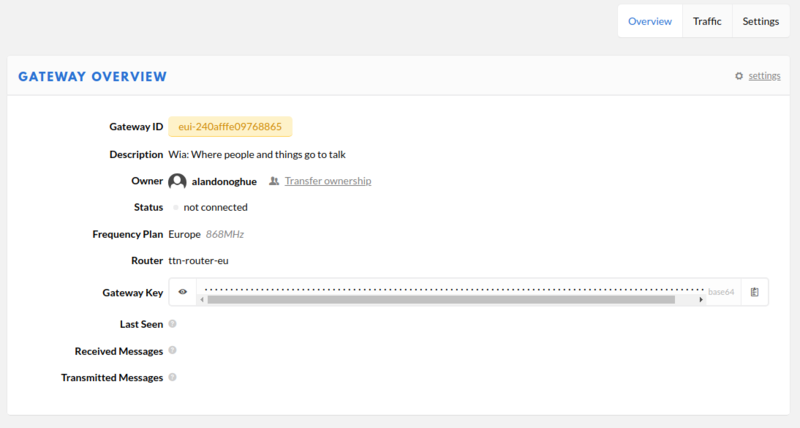 To set up the Gateway with The Things Network, you'll need to register/create an account with them. The link to their registration page is here. Once registered, you'll be taken to the TTN console where you register Gateway's and Applications, monitor Device activity and set uplinks to push the data to other services. Inside the TTN Console, there are two options, Applications and Gateways. Select Gateways and then click on register Gateway. This will allow for the setup and registration of a new Gateway. On registering your Gateway, you should have everything you need to have your Gateway communicate with TTN. Now that your Gateway has been fully registered with TTN, you should see the push and pull acknowledgements in your atom terminal. 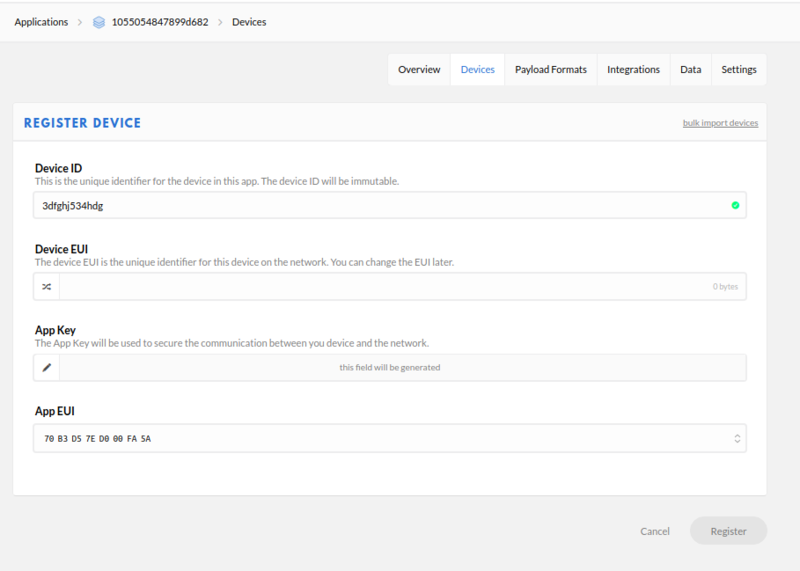 Applications are used to group a collection of device's that have similar functions. 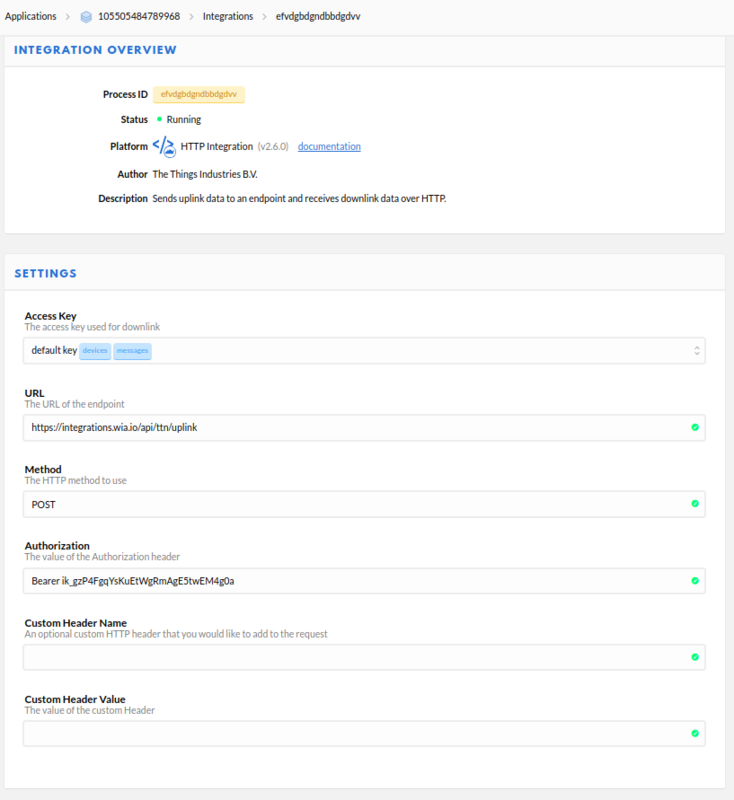 Click on Add application to add an Application to TTN. 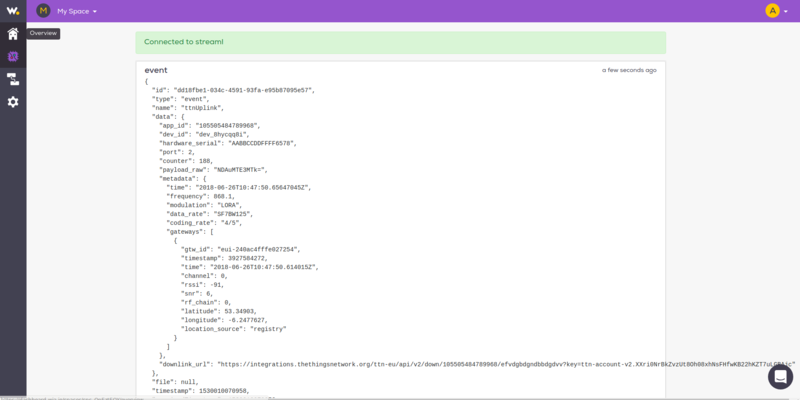 In the TTN Console, click on the Applications tab and click on the Application that we created earlier. 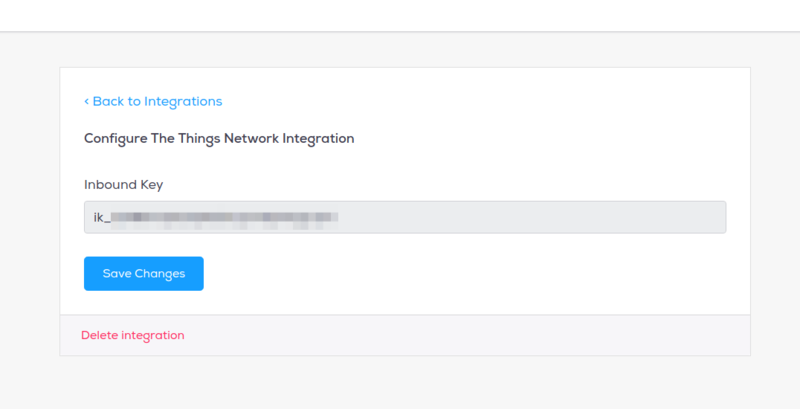 In your Wia dashboard, click on the Space you would like to add you and click on the settings icon on the left manu bar to see your Space's settings page. 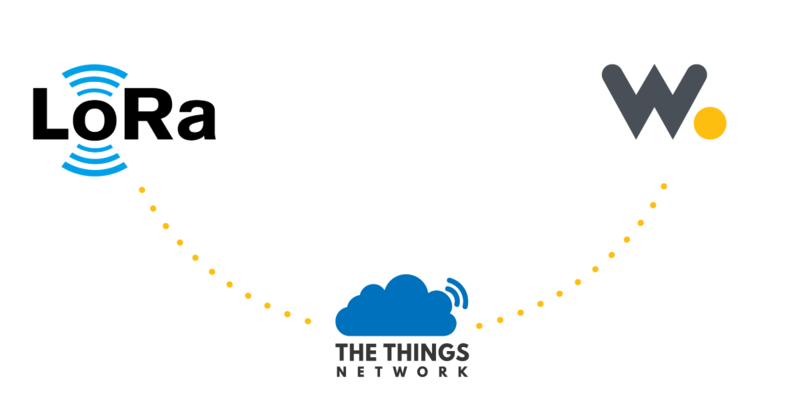 Now with setup everything with need to connected our LoRa Device's to The Things Network and publish our Events to Wia. Now we need to setup a LoRa client node. We'll need the second LoPy to complete this task. 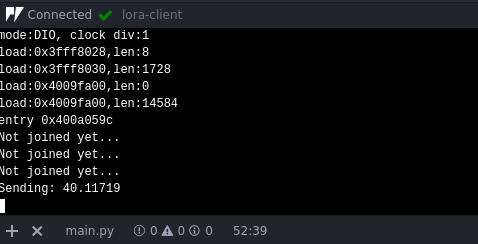 In Atom, create a new folder and call it otaa_lora. In this folder add the config file from the LoRaWAN nano Gateway and copy it into the folder. Create a main.py file and copy the code from below into it. 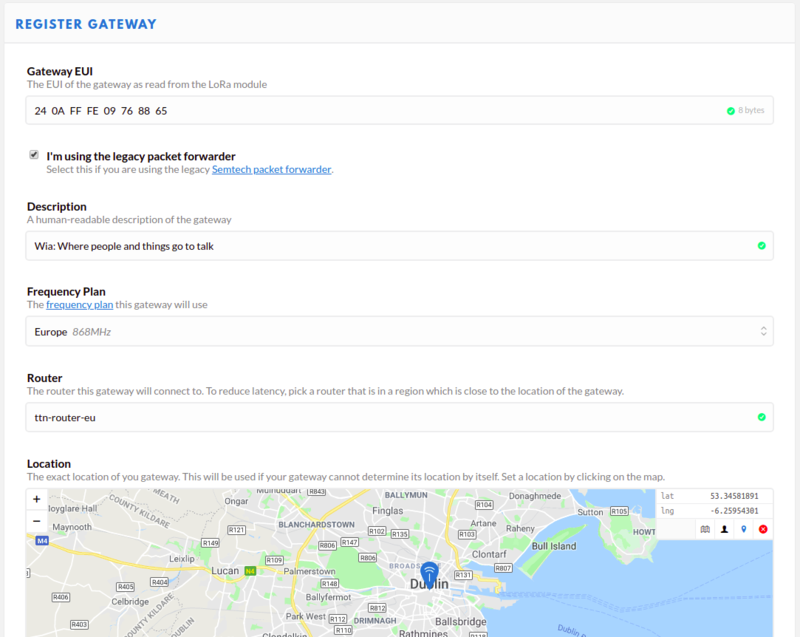 The LORAWAN mode should be set to the region that matches your region and the one you set for the LoRaWAN nano Gateway. running for your USB ports, you'll need to set project-level settings for one of the projects and change the address to the port that your second device is connected with. Click on Settings on the Pymakr plugin and click on project settings to add a pymakr.conf. This is where you add the port for your second device. 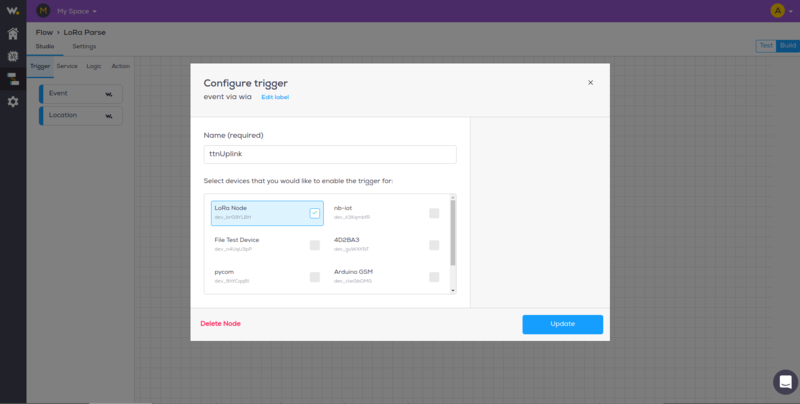 In your Wia Dashboard, click on your LoRa Device and switch to the Debugger tab to see the Events that your LoRa Device published coming through in real-time. To view all, click on the Events tab. Now for the next step, we must parse the data we received from The Things Network and do something useful with it. For this we need to build a Flow. Head over to your Wia dashboard and in the Space where your LoRa device is held. From there click on the Flow icon in the left hand menu to go your Flows. This code parses the LoRa data from base64 format to ascii. Start publishing data and your Flow should trigger.